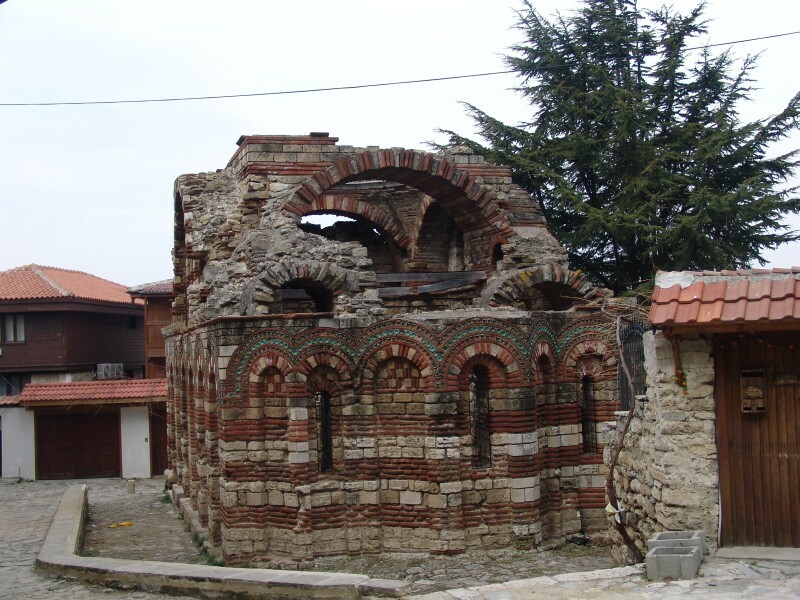 CHURCH St. Archangels Michael and Gabriel (13th century) is one nave, cruciform with a narthex. 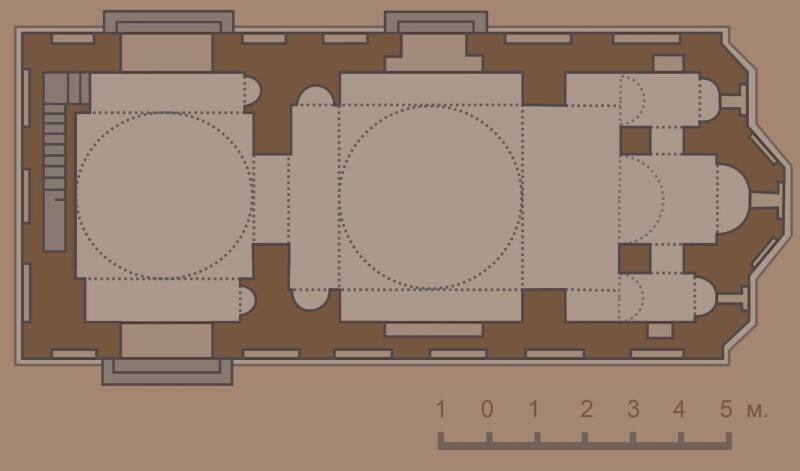 Its dimensions are 13.90 X 5.30 m. There was a dome and in the west a rectangular tower, setting up over the narthex. A stone stairway, hidden in the west wall of the church leads to the tower. The temple has three doors – one on the northern wall towards the nave and two doors towards the narthex. 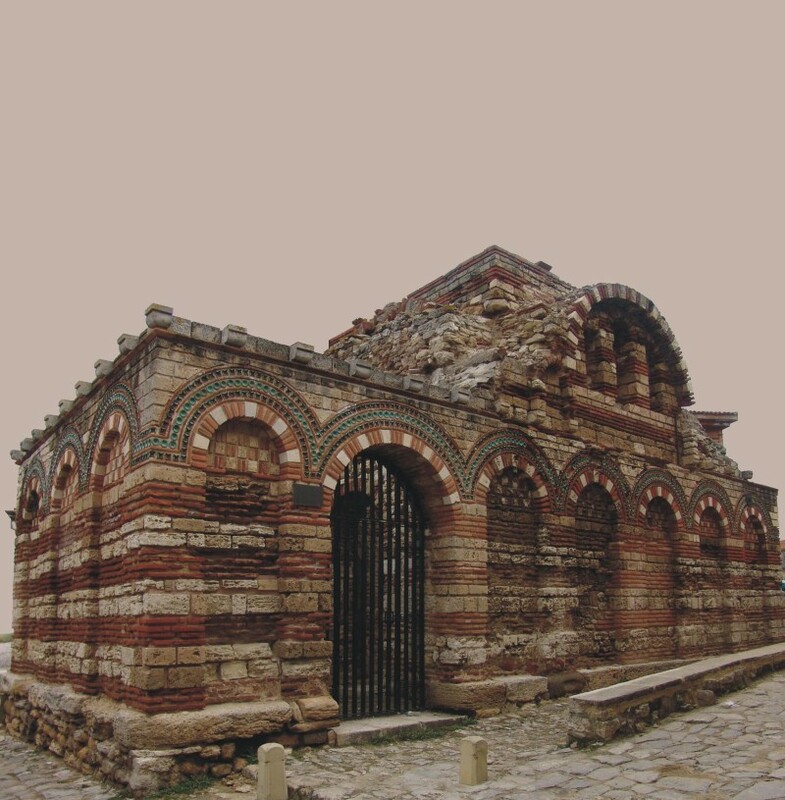 In the east the church has three small, multilateral apses with apertures in them. Exterior decoration is rich. The arches are underlined by triple rows of green glazed plates and the spaces underneath are filled up with small stone blocks and couples of bricks, arranged in chessboard order.